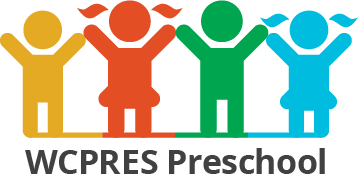 WCPC Preschool recognizes the crucial importance of children’s experiences during early childhood. Positive and supportive relationships during the earliest years are essential for a healthy emotional development, cognitive development, and social attachment. We believe that all areas of a child’s development – physical, social, emotional, academic, and spiritual are interrelated and equal in importance, and that play is the best vehicle for discovery and growth. As children experience early academic and social success, it paves the way for later success in Kindergarten. We focus on the building blocks of school readiness including academics, social expression, self-care and motor skills. Our curriculum is balanced to include both teacher directed learning and child directed activities. We strive to provide stimulating materials conducive to exploring, experimenting and decision making. Our goal is to foster a love of learning that will last a lifetime.